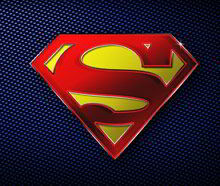 Born on the planet Krypton, the Man Of Steels real name was Kal-El. Just as the planet Krypton was about to be destroyed, Kal-Els father, a scientist named Jor-El, placed Kal-El in a spacecraft and sent him to Earth. On Earth, Kal-El was adopted by farmers Jonathan Kent and Martha Kent, who renamed him Clark Kent, Clark being Martha Kents maiden name. As he grew up, Clark realised he had many special powers, often described as being faster than a speeding bullet, more powerful than a locomotive, and able to leap tall buildings in a single bound. As Superman, he uses these powers rescue people in danger, and to fight the forces of evil in his familiar blue, red and yellow Superman costume and cape. Working at The Daily Planet newspaper with love interest Lois Lane and young photographer Jimmy Olsen, Clark hides his superhero identity while having access to breaking news reports of impending danger or evil to fight. Here you will find all of our official Superman merchandise by DC Originals!